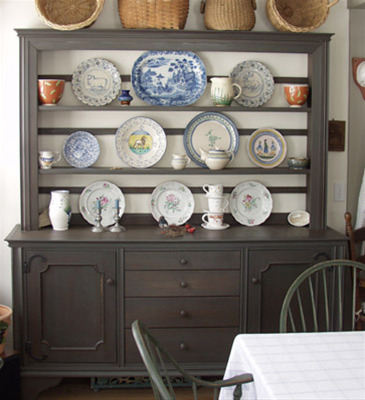 This is a painted pine hutch with hand forged hardware. The paint is a dark green with some reddish brown stain showing through. A very warm traditional hutch.